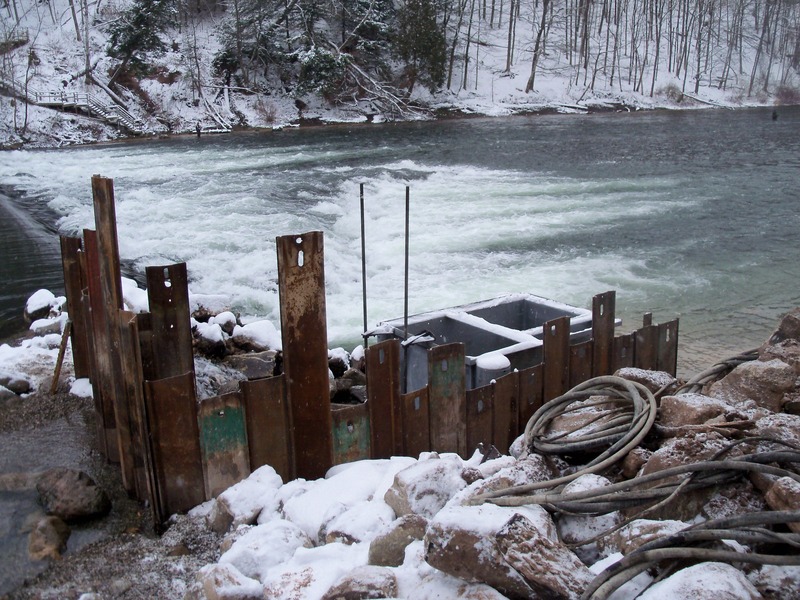 This project consisted of installing a sea lamprey trap and reshaping the Manistee River to allow the lamprey access. 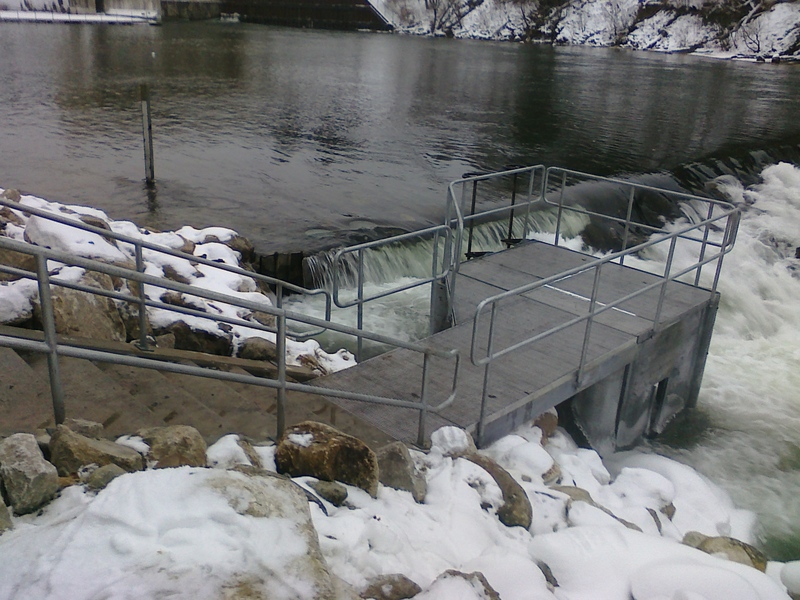 The project included constructing a stone access road across the Manistee River to create access and a work platform to construct the stone weir. The access road area was restored after the weir was completed. The river bottom and river banks were then reshaped to accommodate the new sea lamprey trap. 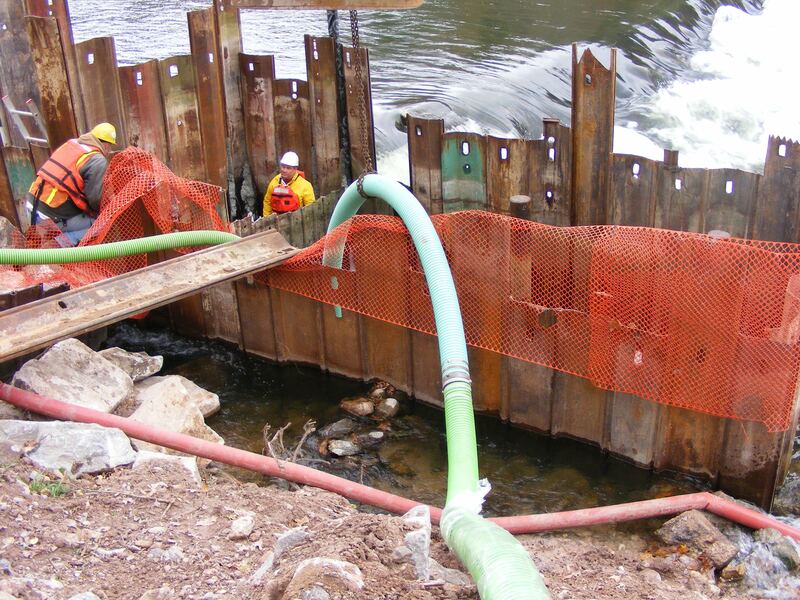 A cofferdam was installed to allow installation of the new trap. 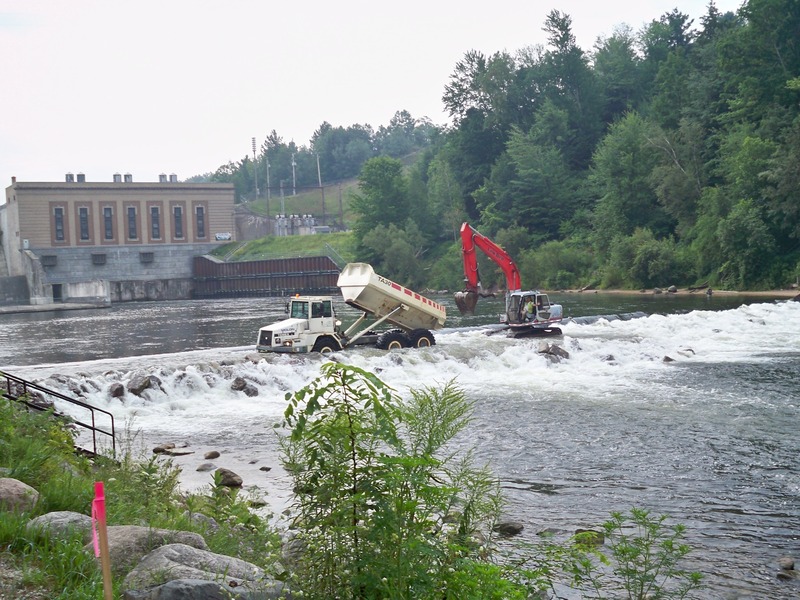 Sand bags were strategically placed in conjunction with pumps to keep water out of the cofferdam system. A concrete foundation was anchored into the river bottom as a base for the trap. 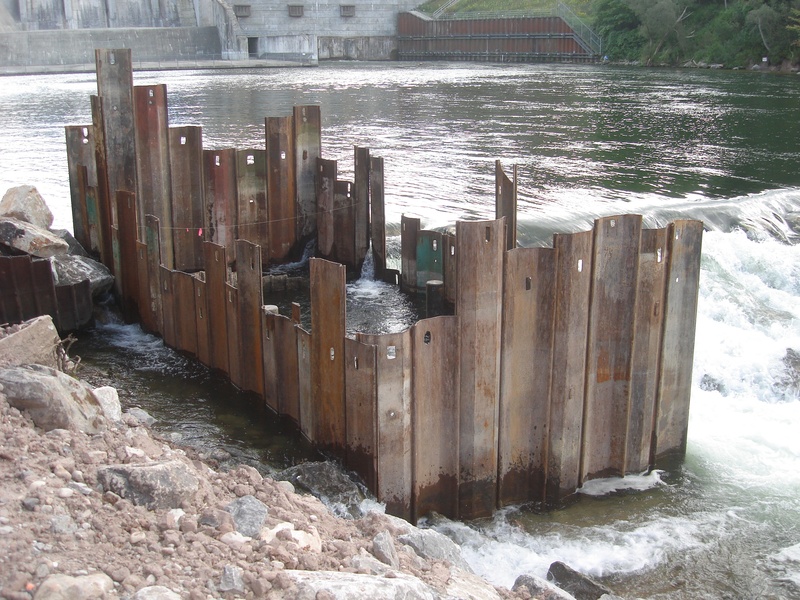 Steel sea lamprey trap was then fabricated and set onto steel piles. Concrete steps and a steel fabricated walkway were installed to access the new trap.